More than often, developers test API, either through a browser request or using some clients such as POSTMAN, Advanced Rest Client (ARC). More than often, developers test API, either through a browser request or using some clients such as POSTMAN, Advanced Rest Client (ARC). To expose the functionality of the API, we also tend to expose the methods and descriptions, and associated data structure through some means which require additional work. To complement either or both of these functionalities, Swagger becomes handy which provides API documentation and API testing by configuration. Swagger UI is a tool that can be used across API lifecycle. 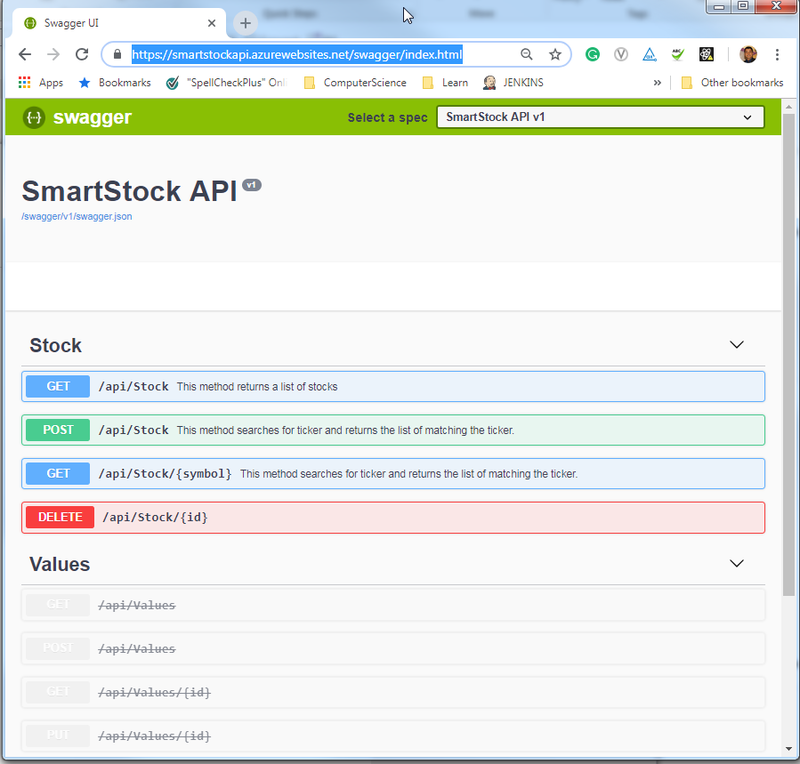 Swagger provides easy to navigate documentation and/or visualization of API resources and enables interaction with API possible from within the application itself making the development and testing effort, as well as end-user experience seamlessly smooth. In this article, I am going to discuss how to implement swagger in API and exemplify some use cases of Swagger UI. I will be using .NET Core 2.0 Web API application and using Visual Studio 2017 IDE. I have created a sample API application with a single controller and four methods as part of the demo which is available for download. Swagger offers the most powerful and easiest to use tools to take full advantage of the OpenAPI Specification. Wiring-up Swagger on an application is fairly minimal and can be accomplished in four easy steps, namely - installation, import, registration, and endpoint enablement. The package can be installed in Package Manager Console, or alternatively by going to the NuGet Package Manager menu. Figure 1: Installing Swagger in the Package Manager Console. Once installed, Swagger must be imported into Startup.cs. Then the Swagger as service must be registered within ConfigureServices method of Startup.cs. Finally, the application must enable JSON as well as UI endpoints for swagger within Configure method of Startup.cs so that end-users can interact with API methods through the Swagger UI. // Enable Swagger JSON endpoint. The complete list of Startup.cs file is shown in Snippet 1. // Set the comments path for the Swagger JSON and UI. // Enable swagger-ui (HTML, JS, CSS, etc. ), with the Swagger JSON endpoint. The API is secured and it makes much more sense to secure the Swagger UI and its endpoints so that unauthorized users cannot see the API documentation via Swagger UI. In this case, the usual authentication mechanism must be used. For example, a WS-Federation based authentication can be used to redirect users for authentication via a single sign-on page. Assuming the WS-Federation like authentication is placed, the Configure method must include the following code before 'app.UserSwagger();' line of code. In addition, the ConfigureServices method must include the following code to trigger Authentication middleware related WsFederation. With the authentication in place, the call to Swagger UI or Swagger JSON endpoint has to pass through the authentication middleware and thus, Swagger UI is only limited to rightful users. Upon completing the above four steps, swagger is ready to go. Browse through https://localhost:5001/swagger/v1/swagger.json to get the data in JSON (either in a browser or a client such as POSTMAN, Advanced Rest Client (ARC)). The returned JSON object provides the specification of the REST methods (separated by Controllers) and objects used in API. An example response is Snippet 2. The Swagger UI is accessible by navigating to https://localhost:5001/swagger/index.html where a user can visualize the same data that was available in JSON response in an interactive format. This UI also supports the actual execution of the rest methods. Swagger provides functionality to test the API methods without any tools. For example, clicking the GET (first tab in Figure 2.) expands the method. By clicking 'Try it Out' and then 'Execute', swagger triggers a call to 'get' method to /api/stock. Note that there is a single controller named 'StockController' in the demo application. The results are shown in the UI which can also be downloaded. Figure 3 shows a result screen for the get method. Any method exposed in the UI can be executed in UI itself, thereby giving us the ability to test the API directly from the API itself. Routing attributes, Http*attributes are supported by default. 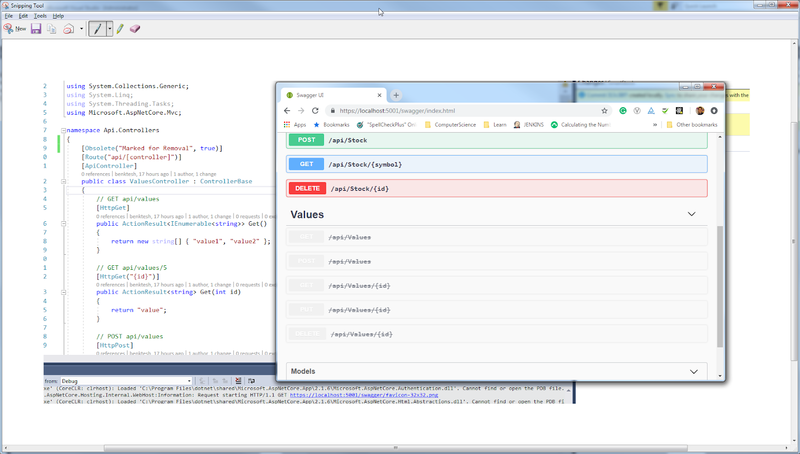 Figure 4 shows how the methods decorated with HttpGet, HttpPost, HttpDelete are reflected in the Swagger UI. Swagger is in sync with attributes in .NET. For example, if a controller class is decorated with [Obsolete] attribute, the UI reflects the fact that the controller is 'obsolete'. Figure 5 shows that the ValuesController is marked 'Obsolete' and Swagger UI reflects the same and is not clickable. This feature becomes handy when API is phasing out certain functionality without breaking the working code. Swagger supports Documentation in UI with some configuration change. By adding the following lines of code in *.csproj file, the XML document is generated. With the following lines of code in the Startup.cs, while registering, the UI shows the XML documentation. With the change to use XML path, the Swagger exposes the XML document in the UI. Figure 6: Swagger UI Shows Documentation. Swagger is supported in all major browsers and works in both local or on the web environment. The look and feel of the UI are customizable. I showed before how it works on a local machine. The Swagger UI works well on the cloud. The same application deployed to Azure, https://smartstockapi.azurewebsites.net/swagger/index.html works as it worked in my local machine. Benktesh is member of an amazing IT Lending development team at Cuna Mutual Financial Group (CMFG) in Madison WI where he is a software developer/architect. His main focus when coding is quality, simplicity and scalability and he is experienced in a broad range of subjects (software design, software development process, project management, testing, UI, multithreading, database, mobile development, and more). Outside of professional work, there is always some side projects he is working on such as simulation modeling of forest management and carbon quantification and writing articles both technical and non-technical (see his blog at https://benktesh.blogspot.com/). While not coding, he is occupied with reading, watching tv shows, trading stocks, and discuss climate change, global warming, emission trading, and traveling to meet people, place and culture. What if your API is protected w/ Azure Active Directory (Oauth2)? Then, it has to go through the authentication. And if authentication fails, the api will not expose itself. I am not sure if this answers your comment/question. I added a section a section detailing how to secure the api with federation. Thanks for leaving this note. Good article, this is the trend now, isn´t? You can also get a free SwaggerHub account and develop the API (with versioning) from cloud and generate the server stub for many environments. Hello Benktesh, Nice article mate for swagger. Thanks. It goes well with Swagger spec as well, as you can simply copy/paste the request/response/assertion JSONs from swagger specs. Also Codeproject has good articles on E2E testing and Integration testing, Search "Zerocode" in the search box. Thanks for leaving the note. I will have to look into the resource you mentioned. Please format your code blocks properly. Thanks Richard. I worked on formatting to improve the code blocks. I will also look into the gist for any formatting issues.